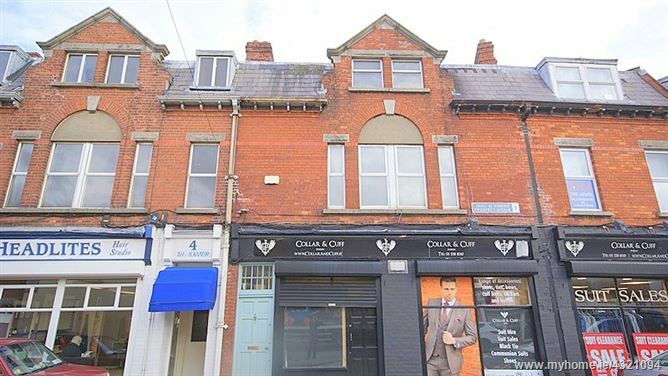 Alliance Auctioneers are delighted to present this exceptionally spacious, light-filled, two bedroom duplex presented in very good condition throughout, Number 2 Prospect Avenue is situated in the much sought after location of Phibsborough, a short stroll to both Drumcondra and Phibsborough villages offering a huge supply of excellent amenities on it's doorstep and also within easy walking distance of the City Centre, the Botanic Gardens, Cabra Luas stop, Drumcondra Train station and the Mater Hospital. It is also serviced by 6 different Bus stops. This fine duplex offers modern living with everything on it's doorstep. The accommodation comprises an First floor: entrance hall, open plan living / kitchen / breakfast area, WC and utility room. Second Floor leads to two double bedrooms with master en-suite. Kitchen area: Open plan to living room with floor and wall mounted units, electric oven, hob, extractor, integrated dishwasher, washer dryer, fridge/freezer and tiled floor. En-Suite (6ft x 6ft)Contemporary with shower cubicle, WHB, WC, fully tiled wall and floor.